Product categories of Shangchai Diesel Generator, we are specialized manufacturers from China, Shangchai Diesel Generator, Shangchai 300Kw Diesel Generator suppliers/factory, wholesale high-quality products of Diesel Power Generator R & D and manufacturing, we have the perfect after-sales service and technical support. Look forward to your cooperation! Leveraging on the help of our vendors, our entity is providing a wide range of Shangchai Diesel Generator. Presented equipments are made by our professional vendors with superior technology. 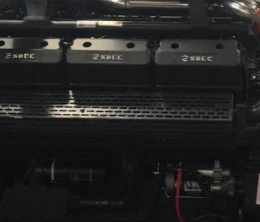 Good quality , Kosta Power have good cooperation with Shanghai diesel engine. With competitive price and steady power output in many areas.